A glorious Quartet of Round Brilliant cut Diamonds are expertly set in solid 18ct Yellow Gold to create a truly unique and contemporary bespoke ring. This beautiful and unique cocktail ring has been designed and created in collaboration with a special client as part of the bespoke services offered by Julian Stephens. This modern bespoke ring is a playful take on negative space, inspired by modern architecture this beautiful statement Diamond ring reuses our clients inherited ring to create a fresh, new piece to be worn and enjoyed daily. 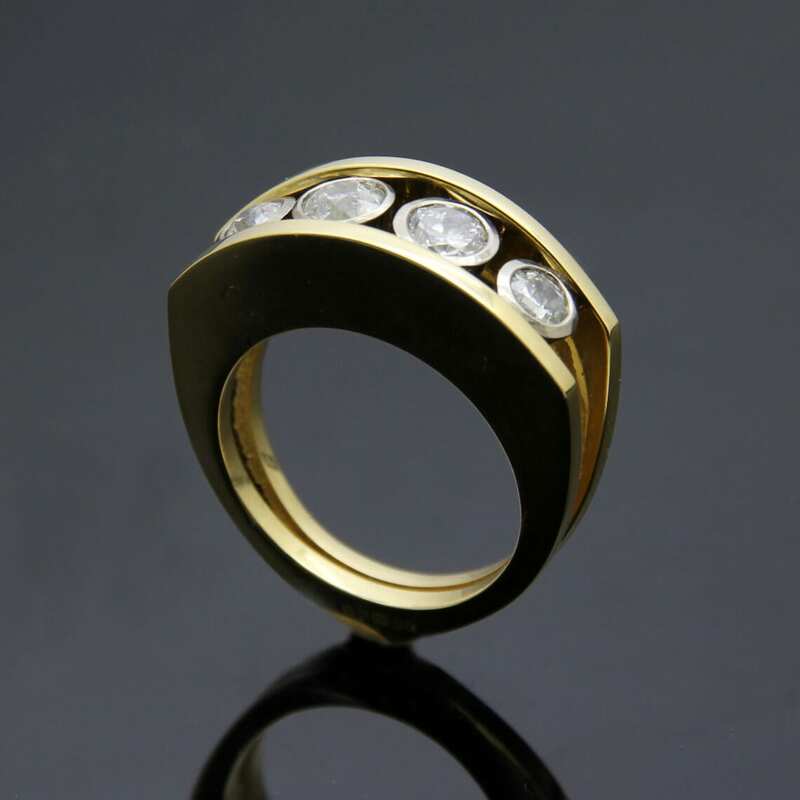 Using the 18ct Yellow Gold and four stunning Round Brilliant Diamonds from the clients unloved original piece, our master Goldsmith Julian Stephens has truly transformed these stunning precious materials into something exciting and completely unique. 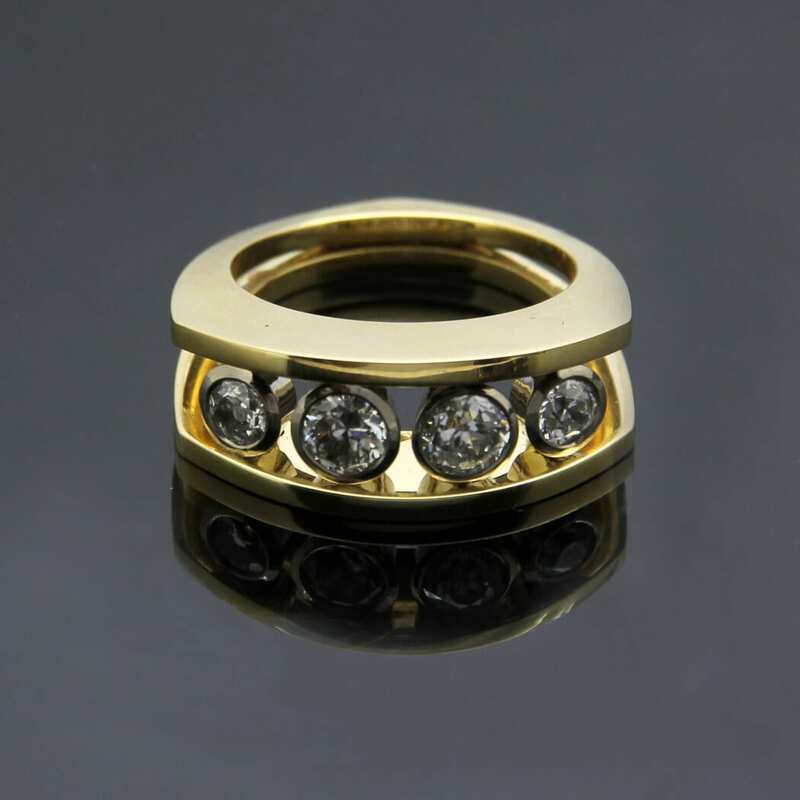 The quartet of astonishing Round Brilliant Diamonds have been cleverly collet set into twin bands of solid Gold to create negative space around each stone, allowing the natural beauty of each precious Diamond to sparkle and glitter, with the negative space surrounding the stones creating a sense of magic and wonder. 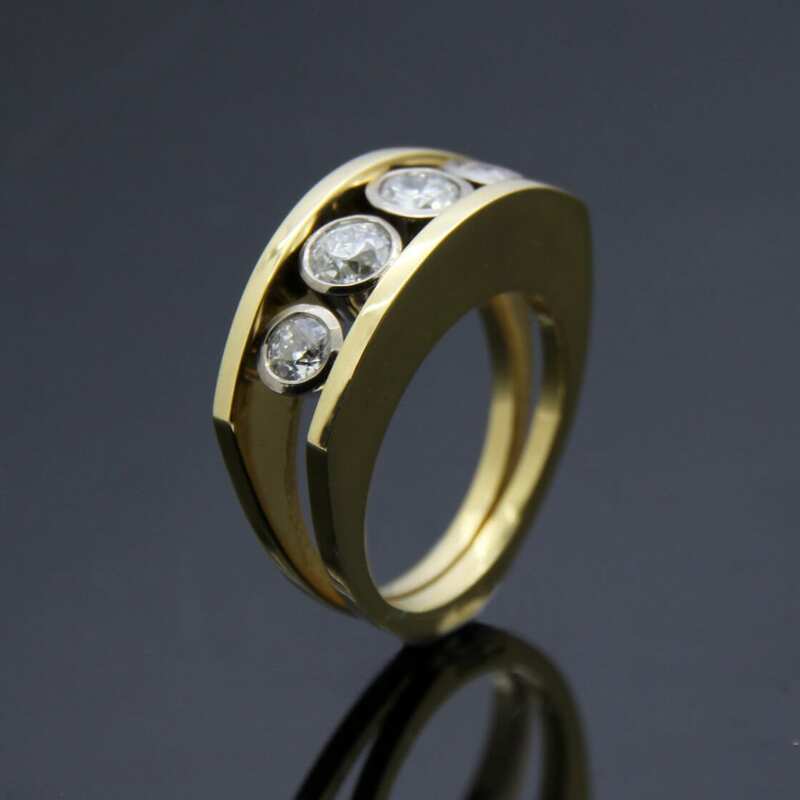 This exquisite bespoke Diamond and solid 18ct Gold modern statement ring has been meticulously hand crafted by our master Goldsmith Julian Stephens from his Brighton workshop and proudly bears his exclusive makers mark and Hallmarks as an indication of its thoughtful design, quality materials and execution.